These kids are riveted. Focused. Gaga is the one thing besides video games that my kid loves to play. He is not an athlete, but just like all of his friends he LOVES Gaga. And this Sunday, February 1st, GAGA + Yoga returns at 3:00-3:45PM, continuing February 8th and March 1st. The point of Family Fitness initiatives at the 14th Street Y is to give opportunities for families to build healthy habits together. Last year, we created the GAGA + YOGA model which gave parents a chance to use their Sunday to exercise, focus and relax, while their kids played a favorite sport with their friends, and with great instructors (Kevin Casidid is our GAGA guru). 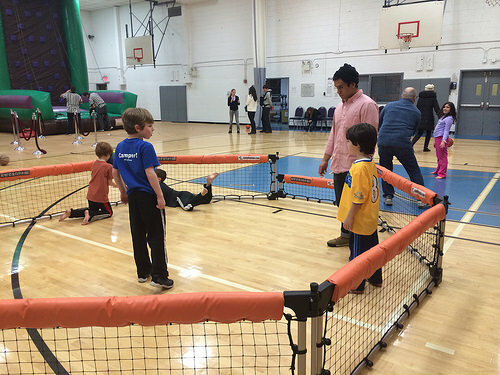 Best of all, the 14th Street Y is now the proud owner of a professional GAGA Pit, which we debuted last Saturday at Pause/Play and will be using every Sunday! Have questions about GAGA + YOGA or other Family Fitness Initiatives? Contact our Family Fitness Coordinator Julie_GayerKris@14StreetY.org for more information. Cold Saturday Afternoons in January. What to do? In October of 2013, you may recall that we offered FAMILY FIT DAY for you and your family. 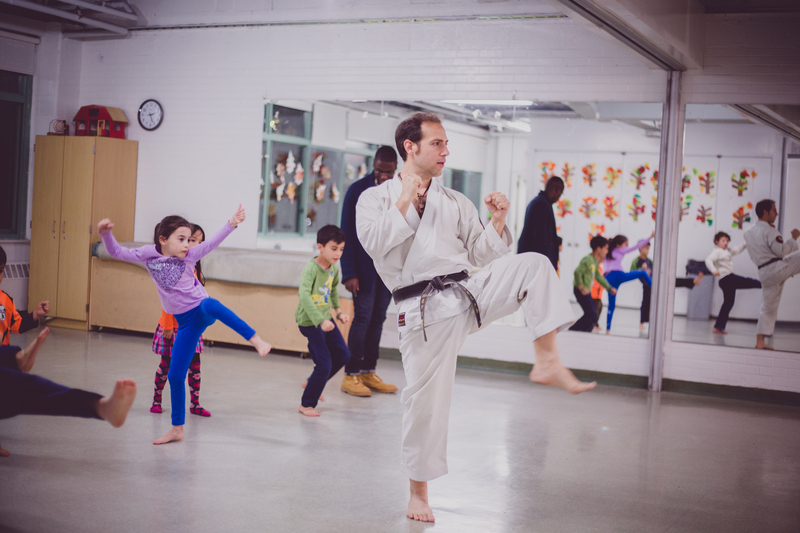 We saw how much kids loved to climb a rock wall, jump in a bounce house, and do activities normally featured in a summer camp day, like play GAGA or do martial arts with the fantastic Sensei Mark. 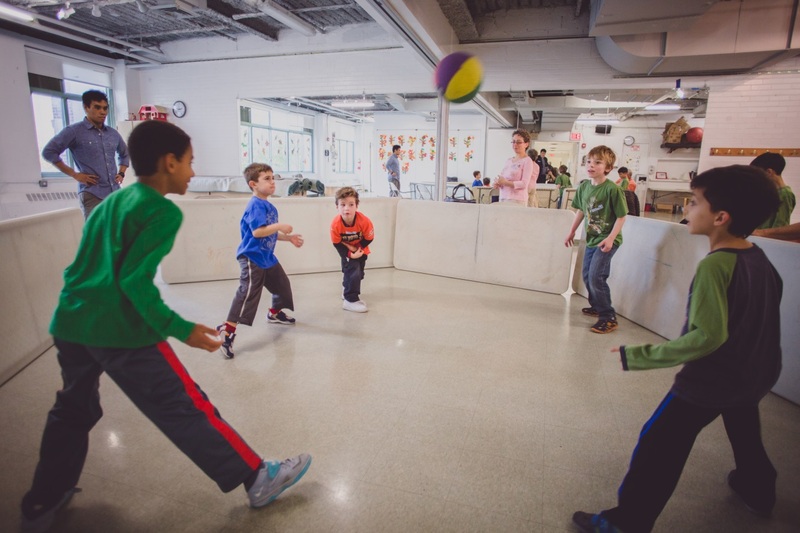 This year, we’re excited to do this in January (when the weather outside is frightful) and add the Family Fit Day element to our continued series, Pause/Play: Saturday Afternoons at the Y. You can exercise together or in different sessions, celebrate sustainability and the new year for trees (Tu B’ Shvat Seder with Rabbi Shira Koch Epstein)….even take a family photo! Take a look at the extensive schedule we’ve got planned right here. FREE for members. Hope we see you there! Our Gym is transformed to a Rock Wall Climbing experience for kids! 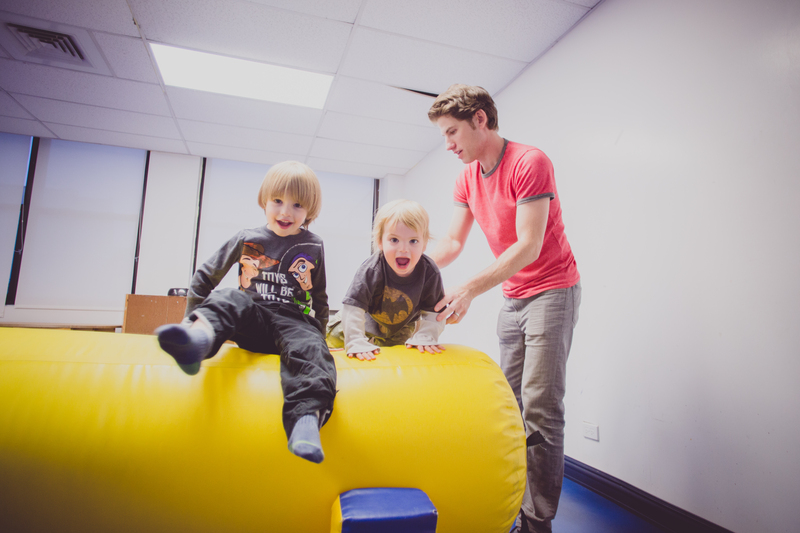 Kids 4 and under get moving in our 4th floor playroom. 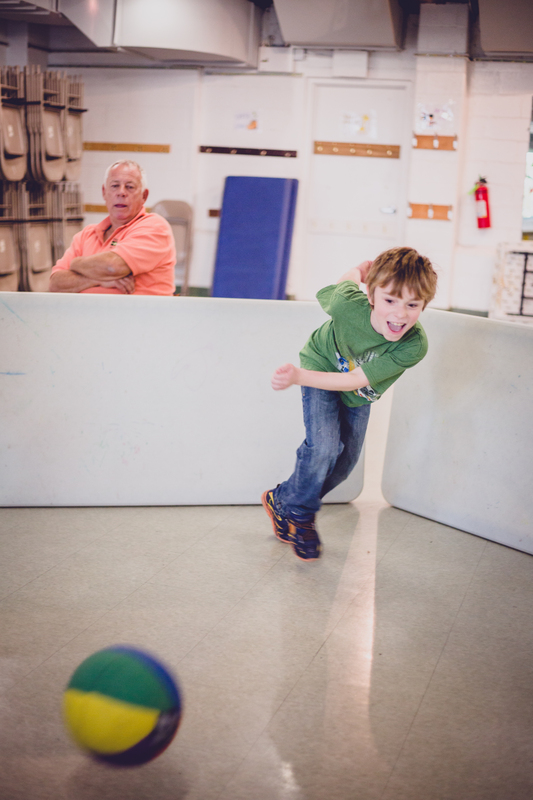 Our Gym will also feature a new GAGA pit for lots of happy faces like this one. 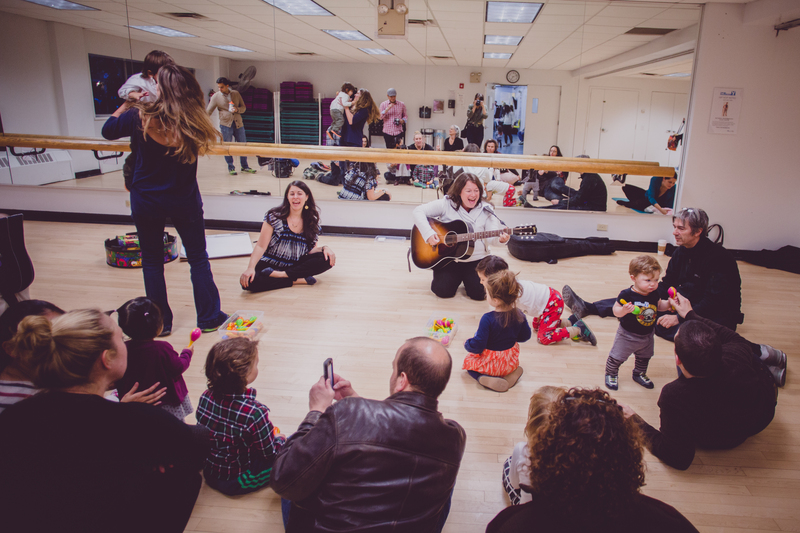 Toddler sing along and dance party with Debbie Brukman returns! And so much more! See you there. If you’ve read this blog before you might have seen this post from last April about how I, through following advice in a book called “The State of Slim” lost 15 pounds and continued to keep it off. I paid attention to what I ate, made sure I got enough water and protein, and most importantly, kept exercising 6 days per week. I really got into it, it was a habit that simply was my life. 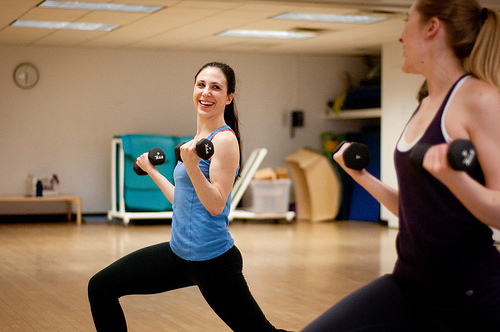 It was actually everything that we at the 14th Street Y strive to provide for our members, a place where you want to come so that your fitness goals simply become your new reality. Moving every day became my new reality. Last year at this time, I just finished the recommended program and was in maintenance. I leaped into January feeling pretty great. I was so excited about the program that I started a class here at the Y, The STATE OF SLIM, every Monday night at 6:30PM. We had about 15 regular members come to try the program, discuss the challenges and victories, and really experience living healthfully. The class was so great it has continued under the leadership of Elizabeth Schneider, one of our great fitness instructors, along with member Suellen, who not only got healthy and fit by following the advice in the book, she became the person to ask about it. I continued my life fairly healthfully, even revisiting the plan in September when I got on the scale and realized the scale and crept up 5 pounds, and it was my trigger weight to recommit to the amount of exercise, eating portioned food 6 times a day (so you don’t feel hungry) with a good lean protein with every meal. By November I was back where I wanted to be. Then came December. Specifically, the last 10 days. I visited my parents in the mid-west and it was really, really cold, like stay indoors and don’t walk anywhere cold. Don’t even leave the house to go to the car. And while you’re there, have some more pie. Which I did. So now, though I have not stepped on the scale, I know. I KNOW! It takes so little time to break good habits. Luckily, it can also take little time to build them up again. So today, I’m eating for health and energy. Today I am visiting our 14th Street Y gym. Today! If you can relate to any of this, you should know that the STATE OF SLIM meeting is still happening every Monday at 6:30PM. It’s part discussion, part exercise suggestions and movement, and a great way to connect with people going through the exact same thing. Hope we see you there tonight! Or next week. We’ll be here when you’re ready.